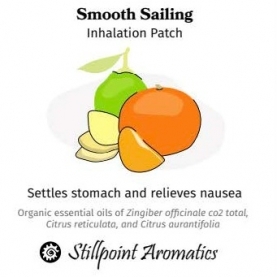 Smooth Sailing was created to reduce nausea, settle the belly, strengthen the immune system and instill courage. Zingiber officinalis Co2 Extract – has a much wider range of chemical components in relation to her steamed distilled sister. The extract contains gingerol and shogaol which aromatically smell much more like the root itself. Many studies have been conducted and it is actually the gingerol and the 6-shogaol that are the components helpful in reducing nausea and interestingly enough they are not found in the steam distilled version. Various preclinical and clinical studies have evaluated ginger as an effective and safe treatment for nausea and vomiting in the context of pregnancy and as an adjuvant treatment for chemotherapy-induced nausea and vomiting. Ginger is also warming, comforting and anchors us. The yellowish color of the root suppoert the solar plexus which is also the power chakra. Citrus reticulata - is red mandarine very closely related to Citrus sinensis, Orange essential oil. The sweet aroma or Red mandarine is settling to the stomach as a calming aid to the CNS. She has also been known to reduce stress, which is great if you suffer from anxiety-induced stomach cramps and nausea. She is fantastic in formulations with Ginger. Red mandarine essential oil, as well as lime, is high in d-limonene, a monoterpene component which has been studied for its chemopreventive effects to support cancer treatment. This essential oil also extracted from the rind offering energetic protection. Orange supports the second chakra as well. Citrus aurantifolia- is a nervous restorative meaning that assists in relieving depression, exhaustion, pessimism and mental fatigue. She is also a wonderful detoxifier for the liver. The fresh lemony green fragrance is soothing to the emotional body as well as the physical. The clean crisp scent is settling to the stomach and is quite refreshing. Controlled studies have shown that lemony scents of lemon and lime can reduce nausea in patients. Lime is extracted from the rind of the fruit providing energetic protection and resilience. She is uplifting and is reminiscent of lifesaver candy, a reminder of fun times and sunshine! Green supports the heart chakra and the lungs. Yavari kia P, Safajou F, Shahnazi M, Nazemiyeh H. The Effect of Lemon Inhalation Aromatherapy on Nausea and Vomiting of Pregnancy: A Double-Blinded, Randomized, Controlled Clinical Trial. Iranian Red Crescent Medical Journal. 2014;16(3):e14360. doi:10.5812/ircmj.14360.77.